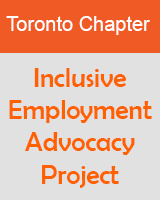 The Alliance for Equality of Blind Canadians is officially a member of the Participating Charities program on Aeroplan’s charitable pooling web site. Besides providing miles to attend our AGM’s, these miles can also be used for other tangible rewards which AEBC could raffle as prizes. Further, there is no charge for donating miles. If one was to transfer miles to a friend, the per mile charge is almost prohibitive so if anyone has a friend who has Aeroplan miles they do not intend to use during the next few months, please encourage them to donate them to the Alliance for Equality of Blind Canadians. Let your friends know that if they do not use their miles within a twelve month period that they are removed from their account. So, make sure this does not happen and that AEBC benefits from such miles. Here is the link that will take you right there. Once there, enter your Aeroplan card number and you will then be presented with a combo box letting you choose the number of miles to donate. It's that easy!